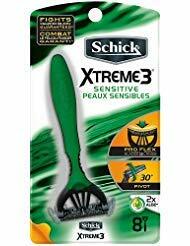 UPC 631113271881 | Schick Xtreme 3 Triple Blade Disposable Razors, Sensitive Skin, 8 Razors/Pack. Marketplaces and prices shown matched UPC number 631113271881 during our search. 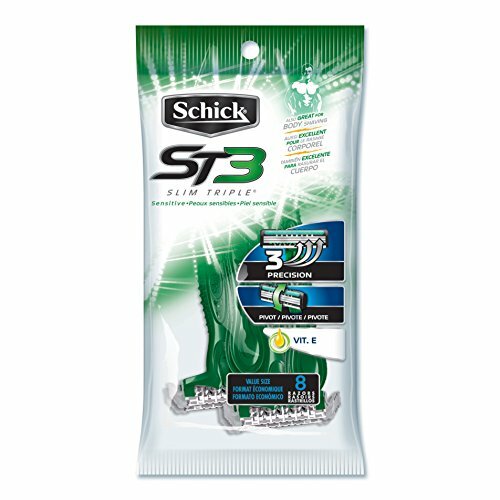 Triple Blade Closeness: Three blades that flex and pivot for a closer, smoother shave. 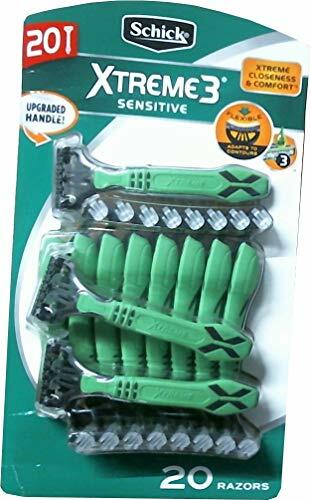 Patented Blade Technology: The only razor with the blades that pivot and flex to optimize contact with the skin to give you an extremely close shave while guarding against razor burn. 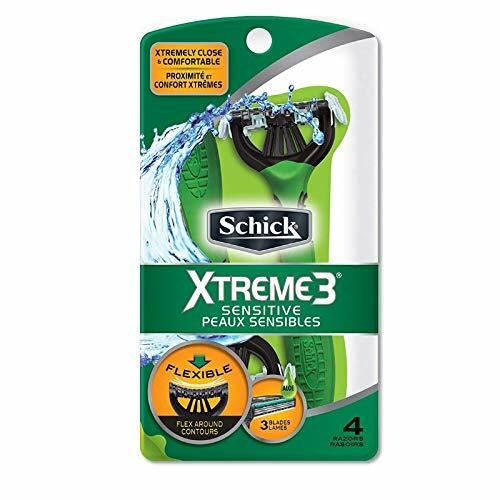 Easy Grip Handle: Rubberized grip handle and ergonomic design provides extreme control everywhere you shave.